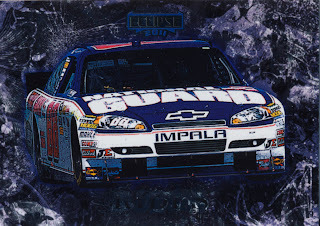 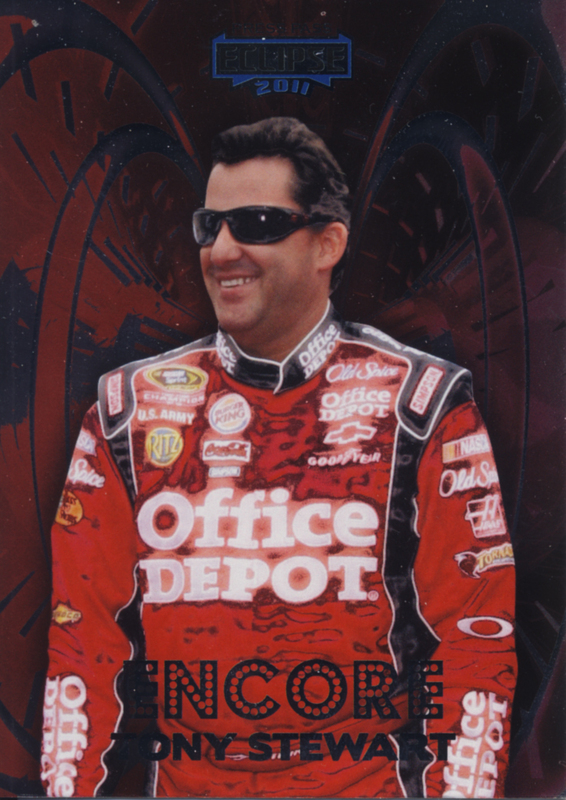 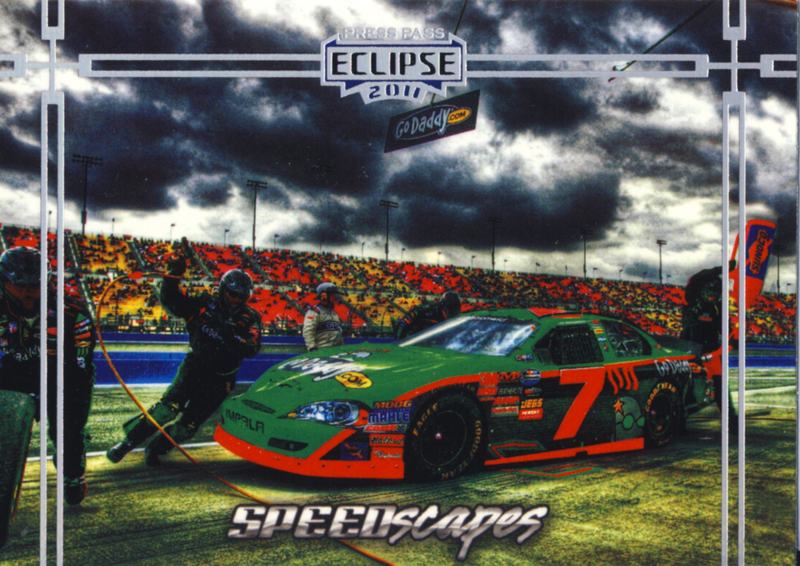 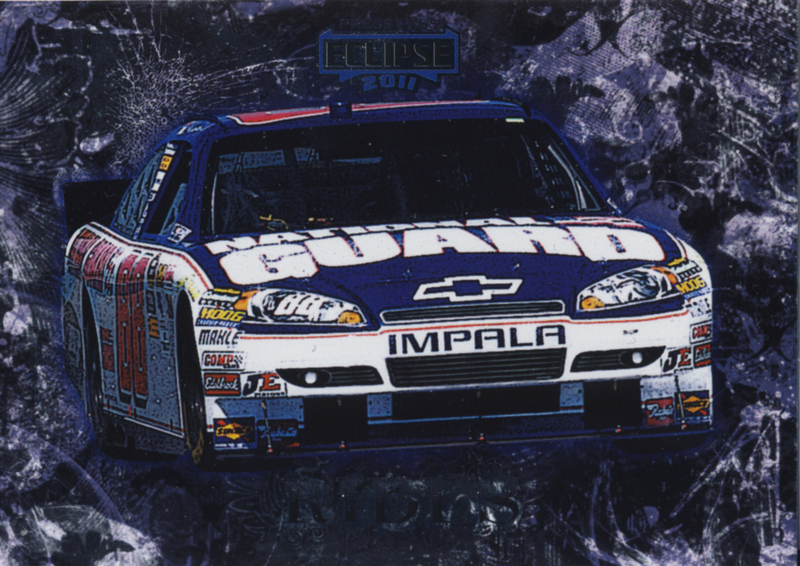 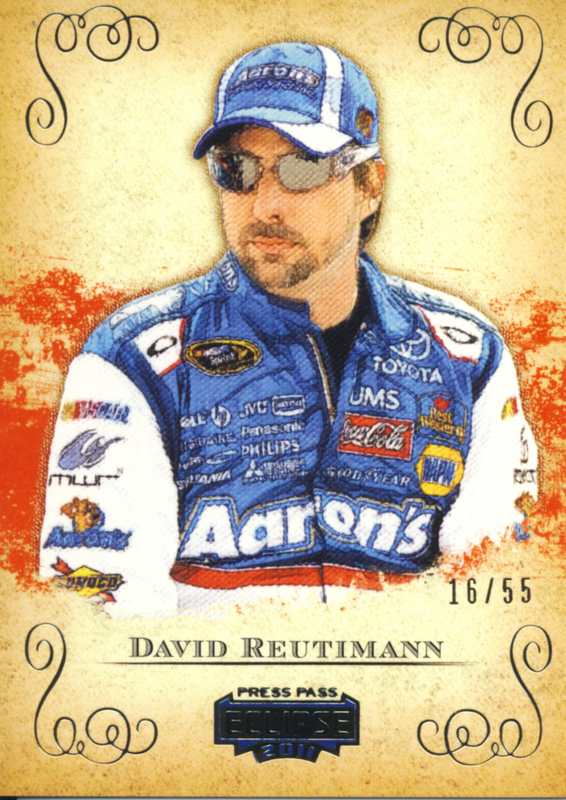 All About Sports Cards: Press Pass Eclipse 2011 NASCAR trading cards. An All About Cards Review. Press Pass Eclipse 2011 NASCAR trading cards. 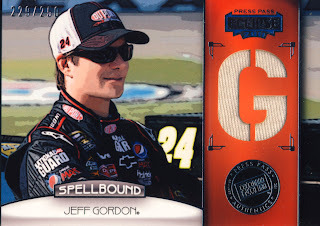 An All About Cards Review. Press pass calls their release of Eclipse 2011 “The art of speed.” They say beauty is in the eye of the beholder, but there is no denying just how great these cards look. From card one of the base set all the way through to the inserts and memorabilia/autograph cards, Eclipse is smartly designed and a welcomed addition to any collection. 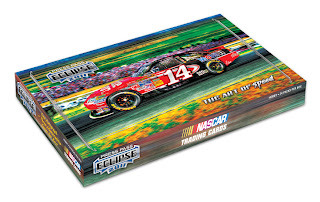 Eclipse 2011 falls nicely into our premium cards category. 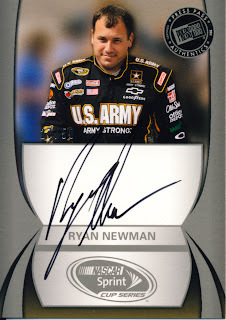 Each hobby box contains 24 – 5 card packs with one autograph and three memorabilia cards per box. You’ll also receive the entire base set of cards in each box. 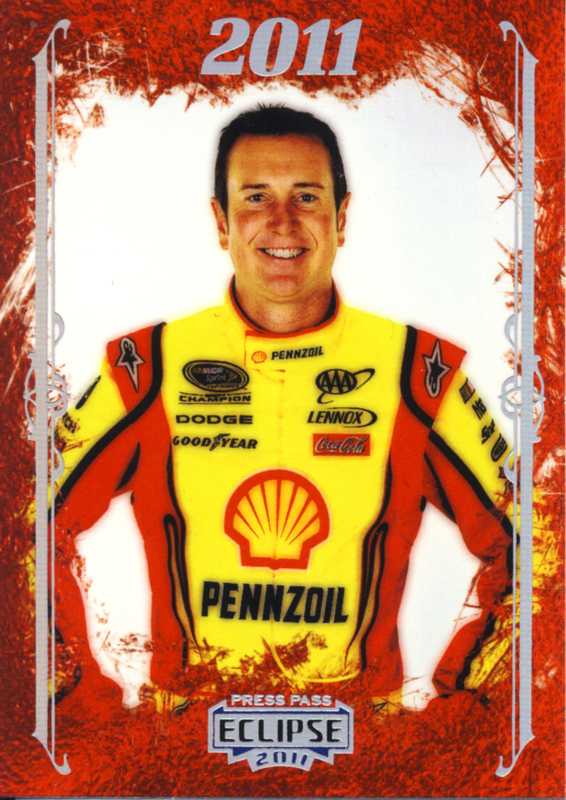 Lets take a look at the cards we pulled from the box. 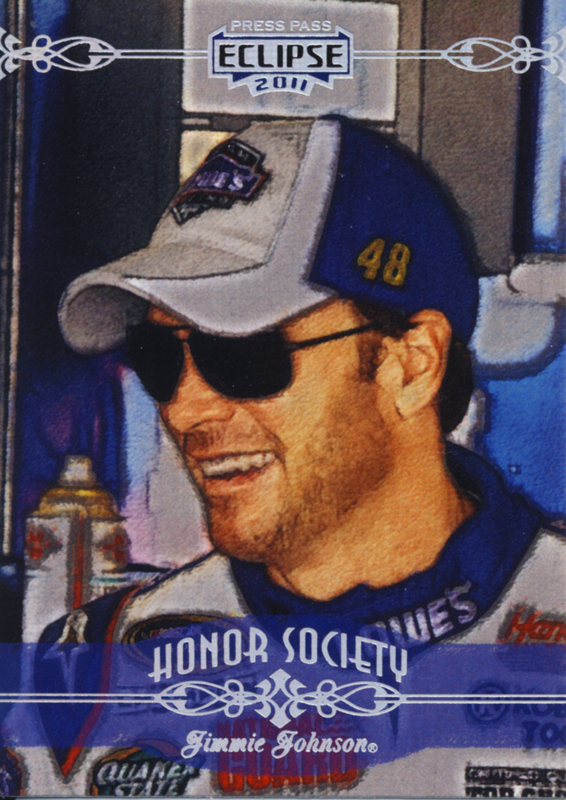 The art theme is completely carried through the entire packaging, to the incredible photos that have been given a painting look, to the canvas texturing for the front side of the cards. Kudos to Press Pass for carrying through on a theme. 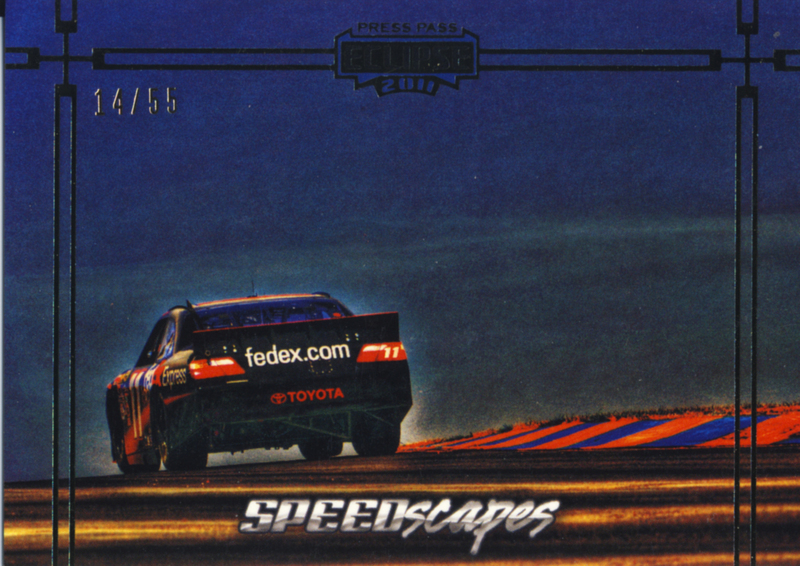 The Speedscape cards in particular are stunning. The Spellbound series is a nice touch, creating an insert card for every letter in the driver’s name. 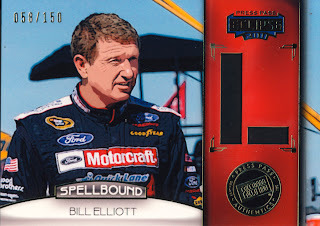 The front of the set is just NASCAR Sprint Cup Series drivers so you will not find the depth here that some of the other card sets have, but it is a quality field. 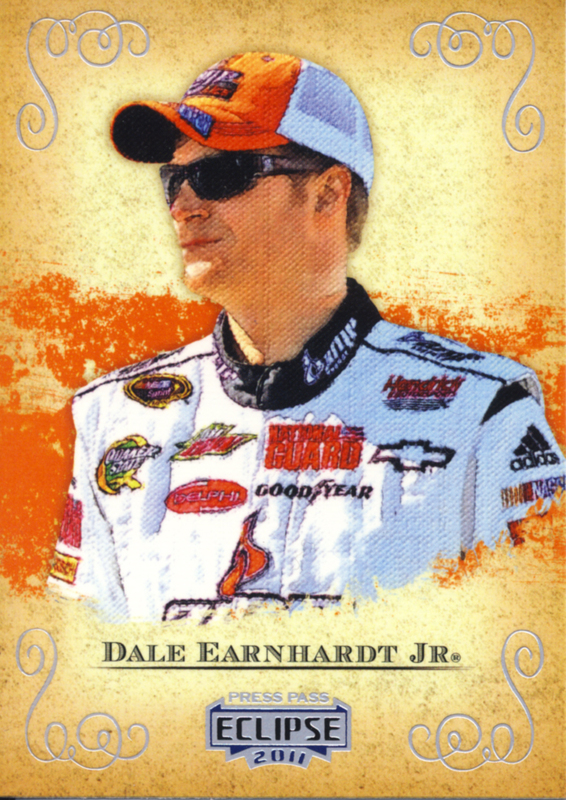 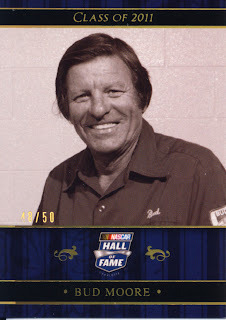 Other stars of the track do make appearances in the insert and memorabilia cards. 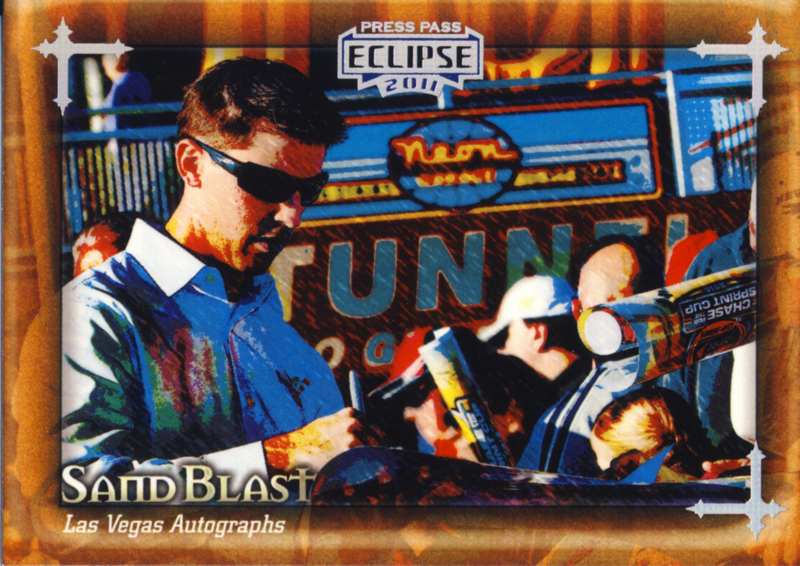 On-card autographs are standard. 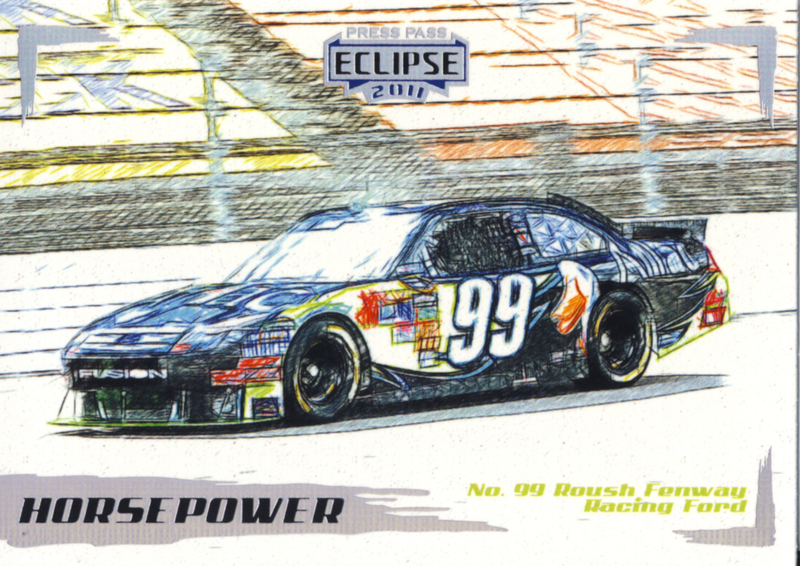 The variety of materials that can be used for memorabilia cards is unmatched in any sport and Eclipse takes full advantage of that. 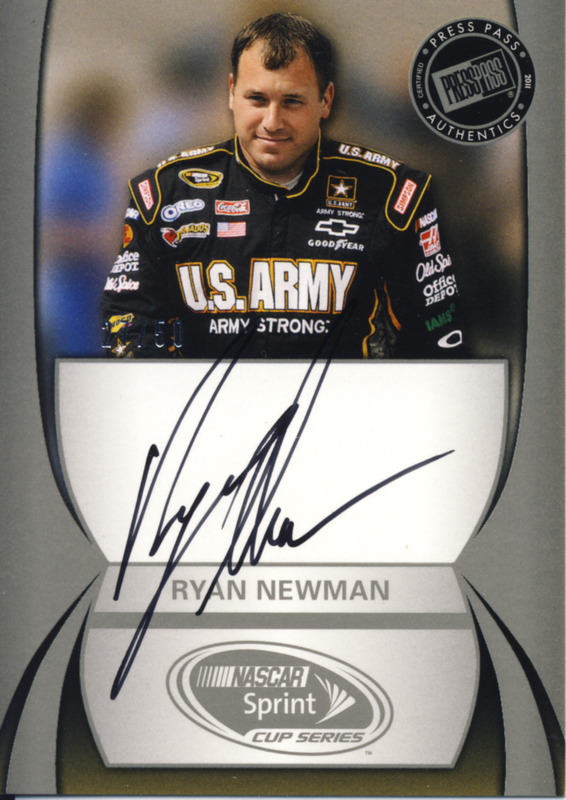 In addition, there is a large base set, but the cads are fantastic so you’ll want those too. 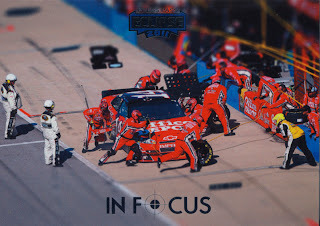 In short... yes. 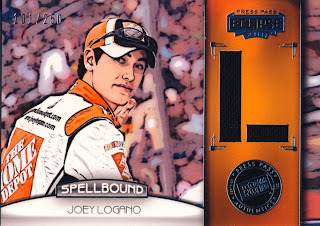 With a complete base set included in each box you might find yourself searching for singles elsewhere or just buying more boxes and selling off the base sets. For the really uber-collector, you can go from complete sets of driver’s Spellbound cards like this one. Press Pass Eclipse 2011 is a showcase piece for any collection.